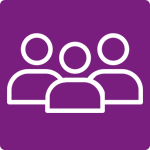 Look out for FREE upgrades and GREAT savings on our selection of hotels! 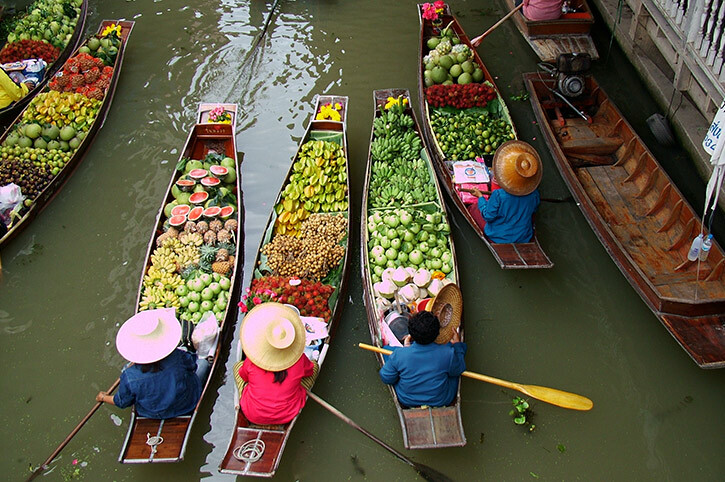 Thailand’s distinct regions offer a wealth of holiday experiences. 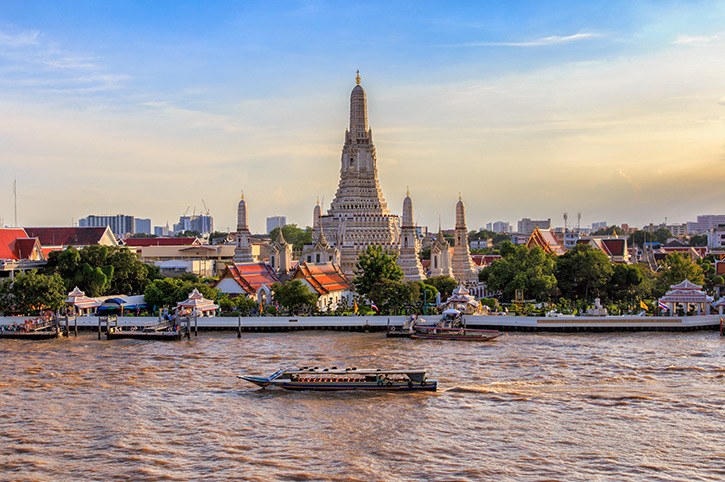 Most travellers start or finish their holiday in Bangkok, Thailand’s vibrant capital city and the hub of its transport system. 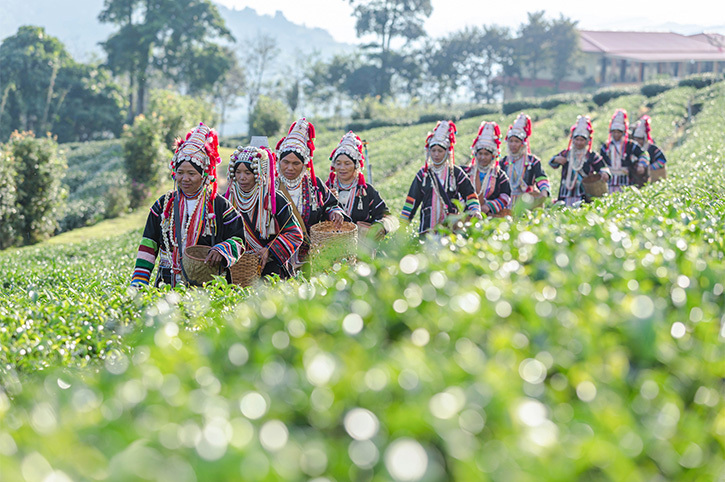 Travel north to Chiang Mai in Northern Thailand and you can explore fantastic countryside and visit hill tribe villages and temples. 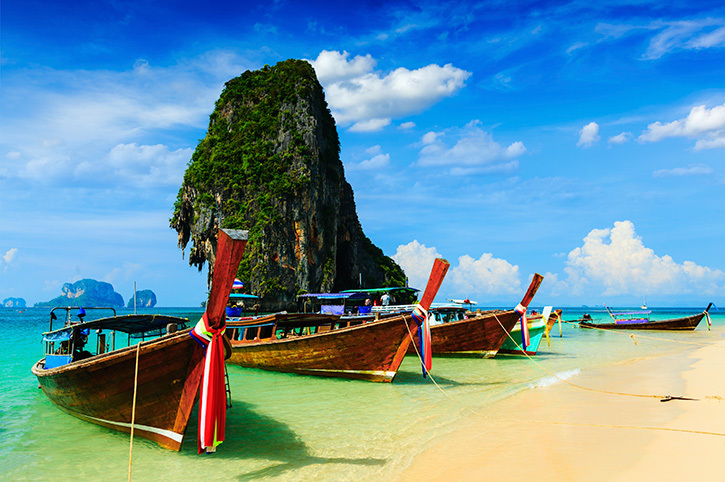 No visit would be complete without a stay by one of Thailand’s wonderful beaches. 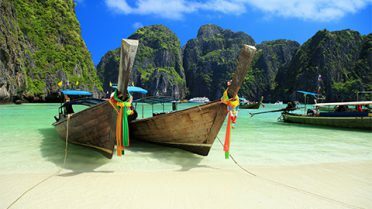 Some of the best are in Phuket, whilst the island of Phi Phi or tropical Koh Samui on Thailand’s East coast are smaller and more personal. Less developed is the beautiful coastline around Krabi on the mainland or try the Northern Gulf beaches which can easily be reached from Bangkok. 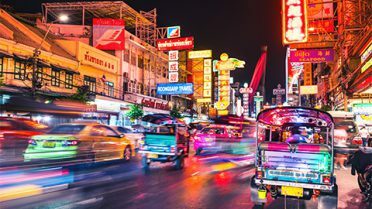 Experience a tuk tuk ride through Bangkok, see spectacular landscapes in Northern Thailand or snorkel off the shores of Krabi. 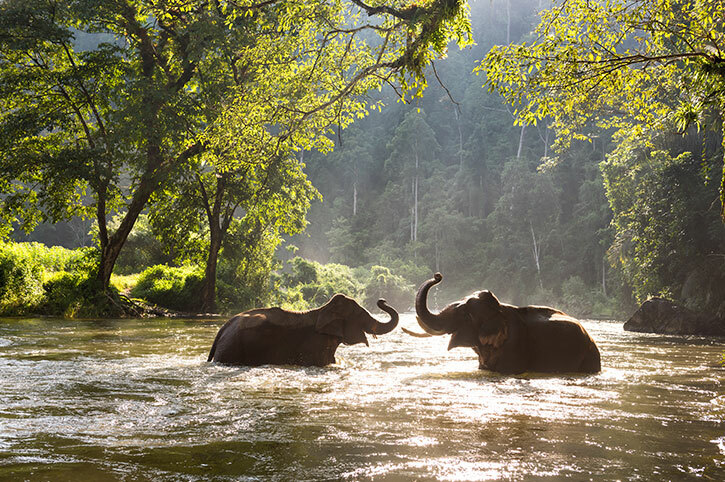 Discover more of Thailand on your memorable holiday. 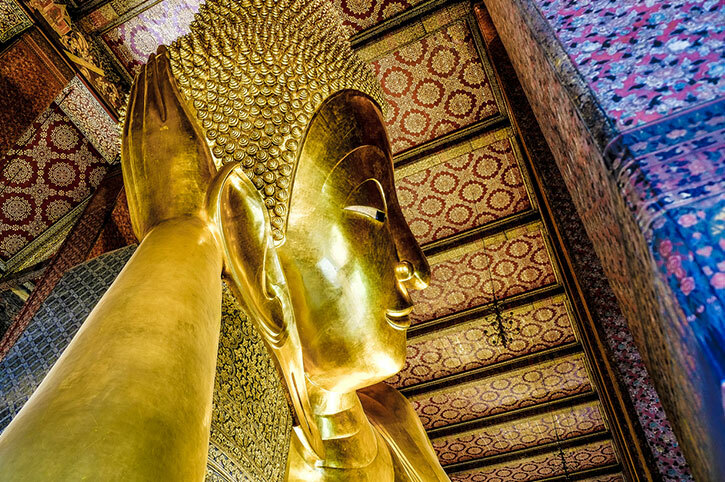 our Asia Destination Experts will happily create your dream Thailand holiday. 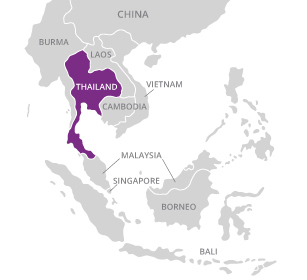 Thailand’s distinct regions offer an extensive range of accommodation options, each with unique characters of their own. Choose from traditional hotels or romantic islands and beach resorts. All are selected for the quality of accommodation they offer, their location, and their excellent value for money. 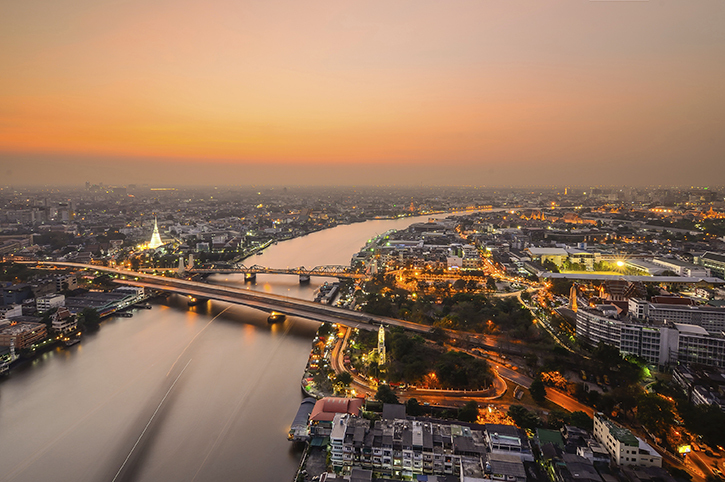 Choose from centrally located hotels in Bangkok to the region beyond Bangkok. 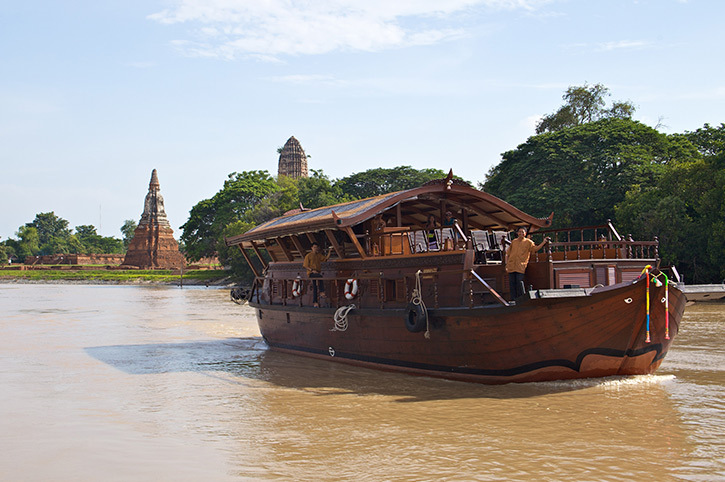 Sukhothai is just an hour’s flight from Bangkok and was Thailand’s first capital. 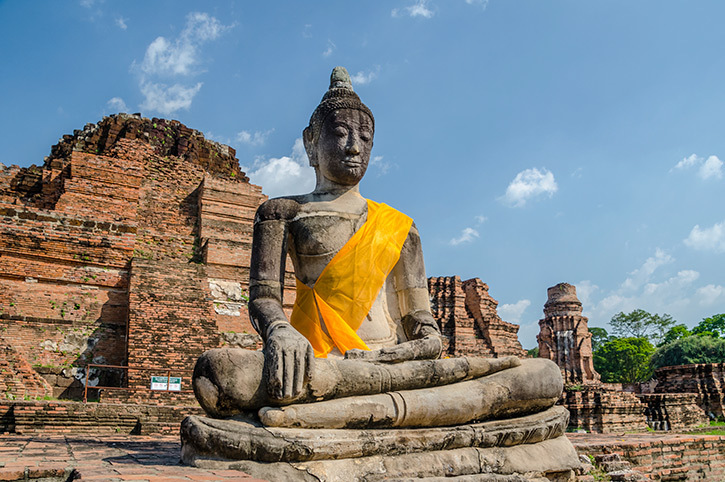 The country’s second ancient capital of Ayutthaya has a fascinating array of historical sites and Kanchanaburi lies in beautiful countryside and is an ideal base for visiting the River Kwai. Two to three hours from Bangkok are Thailand’s beautiful Northern Gulf Beaches. Pattaya is a holiday playground with vibrant nightlife whilst Cha’am and Hua Hin lie on the opposite coast and offer a quieter alternative. 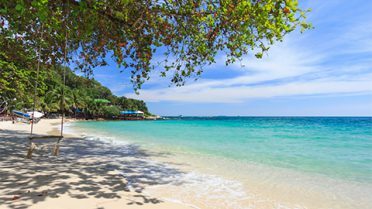 The islands of Koh Samet and Koh Chang are hidden gems with beautiful sandy beaches. Surrounded by crystal clear waters of the Gulf of Thailand, the island of Koh Samui has soft white sand beaches shaded by coconut palms. Just 30 minutes by ferry from Samui, Koh Phangan is most famous for its full moon parties and away from here you’ll find deserted beaches and a mountainous jungle. 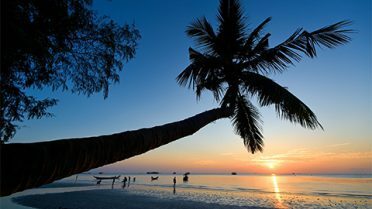 The diving paradise of Koh Tao is easily reached from Koh Phangan and offers a jungle clad interior and pristine beaches. 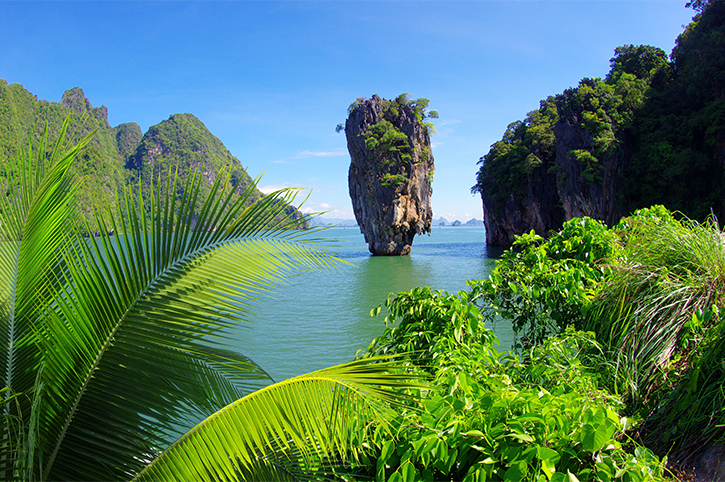 Phuket is Thailand’s most famous holiday island and lies off its sunny west coast. Just a short distance from Phuket lie some wonderful beach resorts including Phan Nga and Khao Lak. The peaceful island of Koh Yao is just an hour by boat from Phuket. 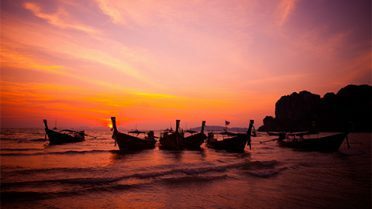 The beautiful province of Krabi lies to the south of Thailand, washed by the clear waters of the Andaman Sea and famed for its rugged coastline and hidden caves. Nearby Phi Phi is fringed by wonderful white sandy beaches and its limestone rock formations and sparkling blue seas make this pretty island a holiday paradise. 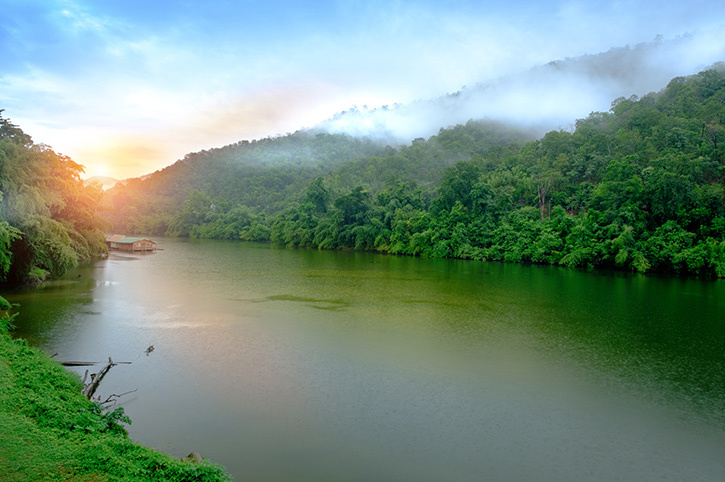 From Chiang Mai it’s possible to to discover ancient temples, remote hill tribes and lush countryside. 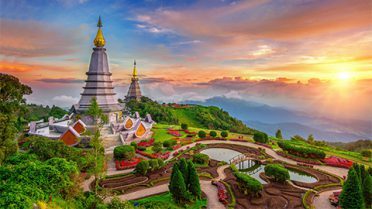 further north Chiang Rai is a small and sleepy town and a perfect base from which to explore the region known as the Golden Triangle.